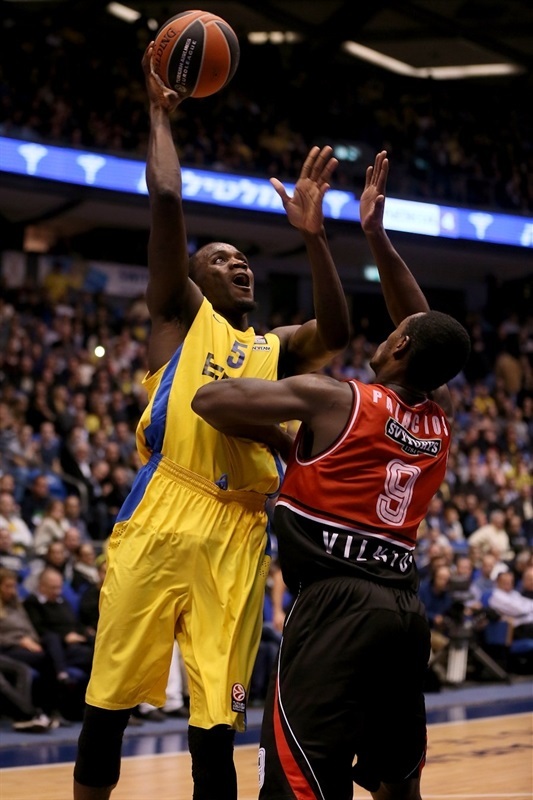 Maccabi Electra Tel Aviv started slowly but came back from a 14-point first quarter deficit to hold off Lietuvos Rytas Vilnius 78-71 in Group D action Thursday night at Nokia Arena. 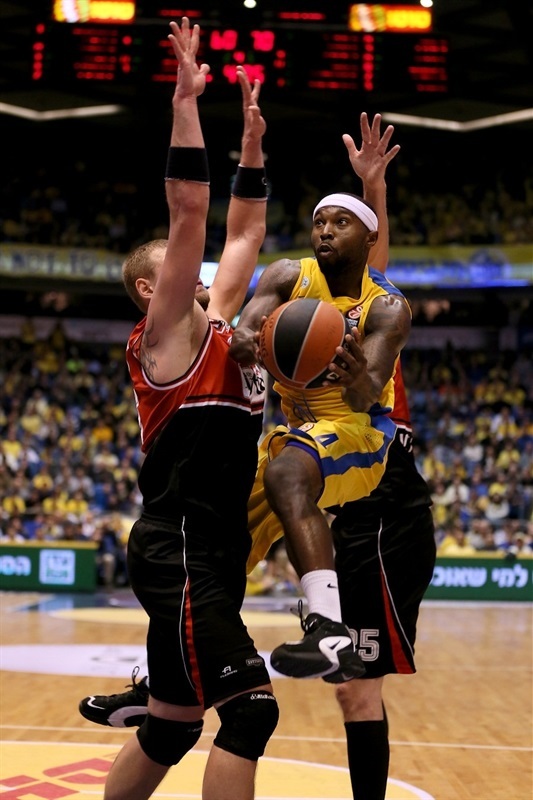 Devin Smith, Ricky Hickman and Tyrese Rice all scored 14 points for Maccabi, which improved to 7-2 in the group. 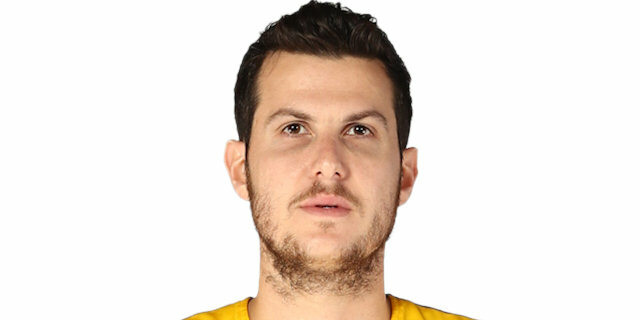 Smith was the only starter to score in double figures as Maccabi’s bench players outscored Tel Aviv’s starters 57-21, including David Blu’s 11 points. Playing in its first Euroleague game since the firing of Dirk Bauermann as coach, Rytas got 16 points from Zabian Dowdell, 12 from Steponas Babrauskas and 11 from Juan Palacios. Vilnius dropped to 1-8 in the group. 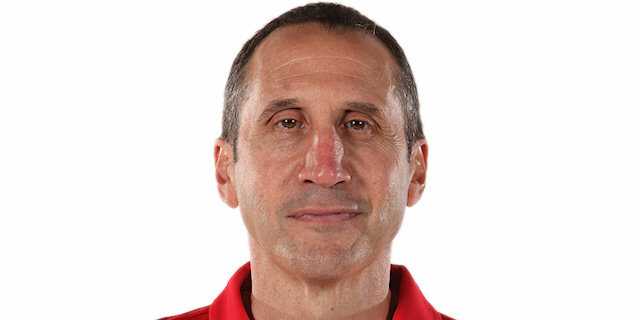 Maccabi coach David Blatt trusted the same first five with Yogev Ohayon, Guy Pnini, Smith, Joe Ingles and Sofoklis Schortsanitis. 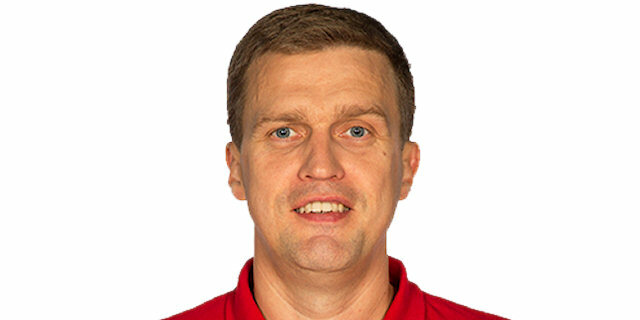 Interim Lietuvos Rytas coach Dainius Adomaitis made three changes to the starting line-up as compared to last week with Dowdell, Babrauskas and Darius Songalia on the court for the opening tip alongside Martynas Gecevicius and Tautvydas Lideka. 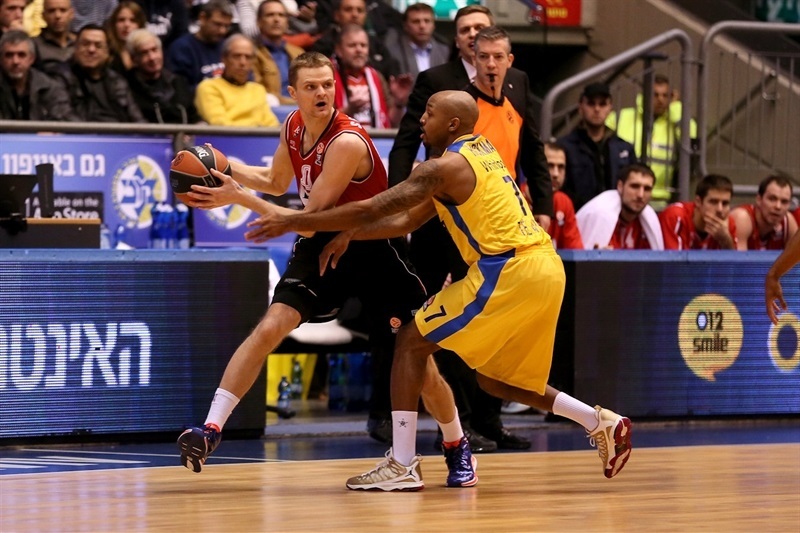 Rytas jumped on Maccabi at the start with Babrauskas nailing a three on the team’s first shot. Schortsanitis’s free throw made it 1-3. Dowdell and Gecevicius added baskets before Palacios came on for a layup in transition for a 1-9 lead and a Maccabi timeout just more than two minutes into the game. Ingles finally hit Tel Aviv’s first basket but Babrauskas and Songalia knocked down jumpers for a 3-13 margin as Vilnius made its first six shots. Lideka used his quickness advantage over Schortsanitis for two layups as the cushion grew to 3-17. After Smith fought one in for the hosts, Stevan Jelovac was the beneficiary of some fine Rytas passing for a 5-19 lead with two minutes left in the first quarter. 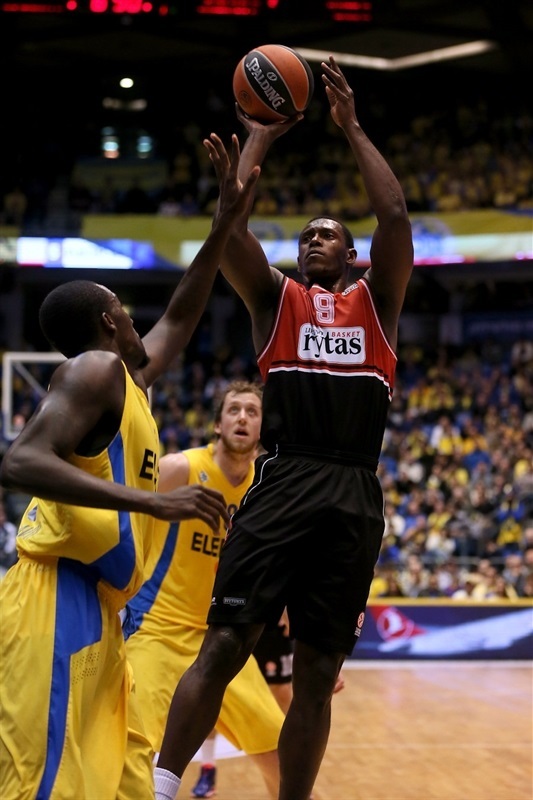 Shawn James entered the game for Maccabi and hit a free throw after a Rytas technical and then converted a three-point play. 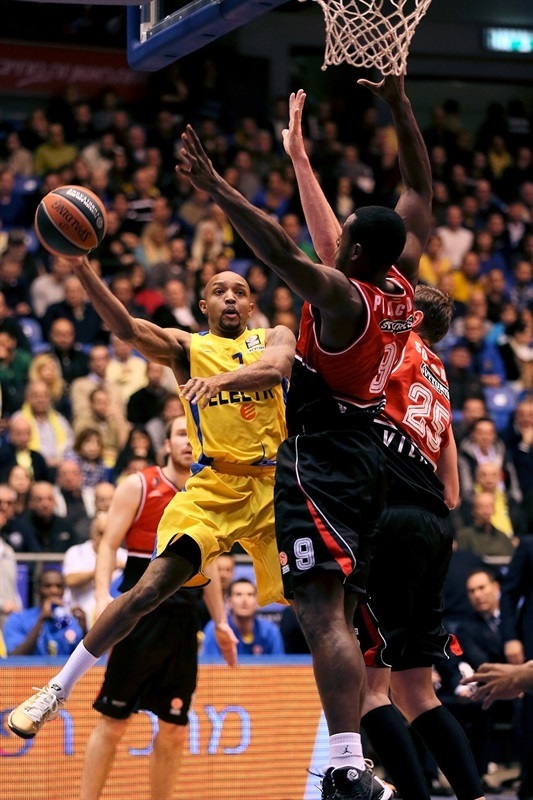 Veteran Blu was the next sub to hit a big shot with a jumper to get Maccabi to within 11-19 after one quarter. Maccabi continued its surge in the second quarter thanks to picking up its defensive pressure and some outside shooting from its bench. Rice remained on the floor and hit a trey and Hickman made three free throws to trim the deficit to two points. Palacios finally got Vilnius on the board with a jumper after more than two minutes played. But Blu knocked down three-ball and then Rice got out in transition for a layup for Maccabi’s first lead at 24-23 midway through the second. Palacios and Dowdell both evened the game – the second time at 26-26 before Maccabi finally went on a mini run with six straight points for a 32-26 lead. Renaldas Seibutis put back an offensive rebound to trim it to 32-30. Alex Tyus was awarded two free throws after an unsportsmanlike foul on Lideka and then Smith converted a three-point play to build a 37-30 advantage. Babrauskas’s two foul shots made it 37-32 at intermission. Blu continued his fine game with the first score of the second half which Dowdell matched at the other end. James and Blu both connected again to increase the Maccabi lead to a game-high nine points 43-34. Rytas would not go away with Dowdell scoring four points in bringing it back to within 45-42. 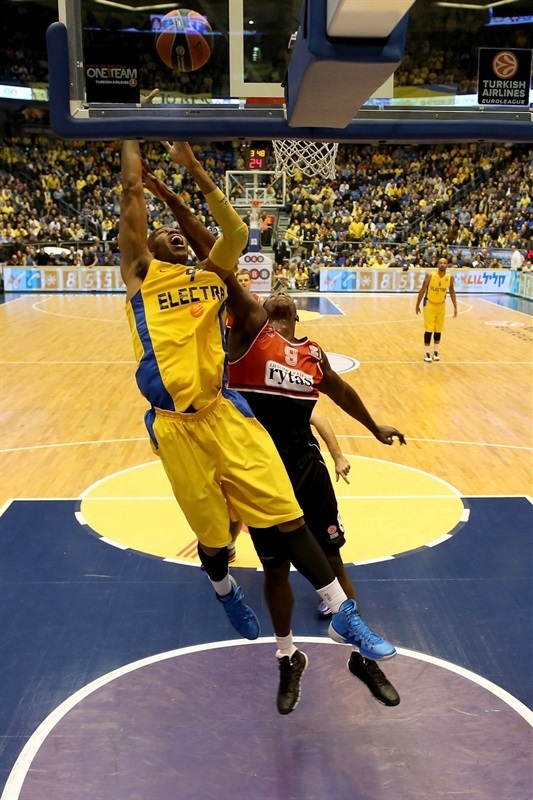 Maccabi punched right back with Hickman hitting for four points in a 13-5 run to push the cushion to 58-47. Palacios and and Dowdell got to back down to seven points before a Smith three-point play left Maccabi up 61-51 after three quarters. Dowdell and Ohayon swapped baskets to start the fourth quarter before Songalia hit for four points to trim the margin to 63-59. Rice pulled of a tough lay-up and free throw and then the lightning quick playmaker drove in for another layup and Hickman hit to push the margin back to double-figures at 70-60 with four minutes left. Once again, the guests would not go down without a fight with Babrauskas nailing a three-ball from the corner and Seibutis cutting it to 72-66. But Rice fed an alley-oop to Tyus and Hickman scored to move the lead to 76-66 with less than two minutes left. 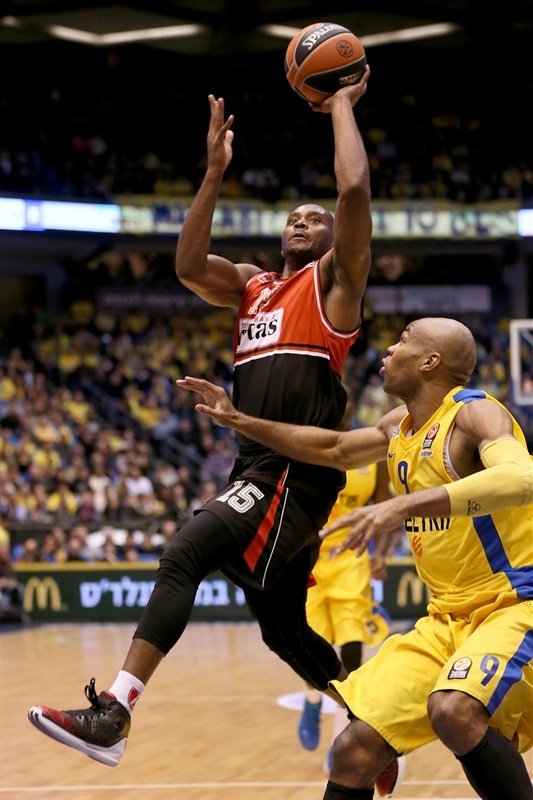 Lideka hit a free throw and Maccabi failed to inbounds the ball, resulting in a Dowdell jumper to cut it to 76-69. But Tyus tipped in a miss to end all doubts. "I guess Tyrese Rice likes playing against his former team; he also won the last game against them with an outstanding basket. He was excellent today. He played the way we expected and hoped. Shawn James also contributed a lot even though he wasn’t fully healthy. This was an important win for us. We didn’t get lost like in some of the past games, but we could have functioned better and we are trying to put a finger on why we couldn’t close the game and take care of matters." "I'd like to congratulate Maccabi for reaching the Top 16. We knew it would be hard to play here, it's one of the toughest arenas in the Euroleague, with a great atmosphere. We had problems in the second quarter and made bad decisions. 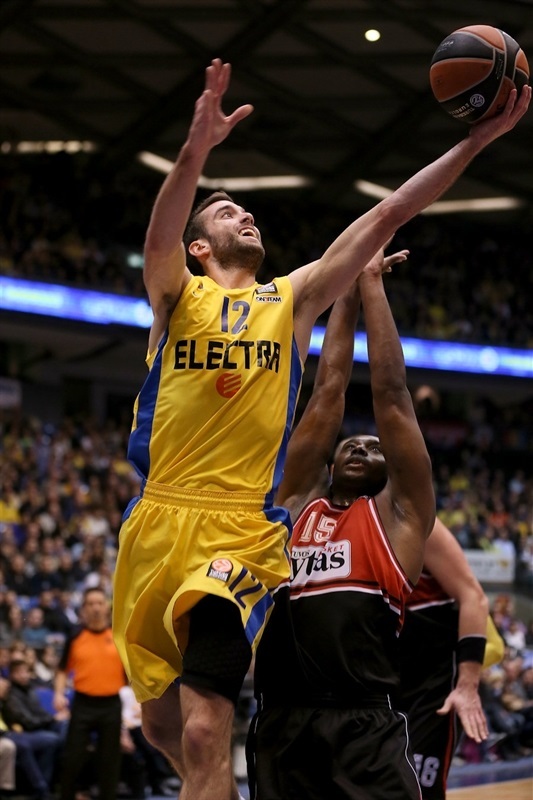 Maccabi is one of the best teams in Europe on the fast break, they took the lead that way and kept it up the whole game." "This is what’s great about Maccabi. We have 12 senior players, so even when some players aren’t at their best, you have Tyrese to come off the bench and change the game. And Ricky played a great game too. Alex has been excellent for a while now. That’s our strength. I’m glad we found the way to win here. We started poorly and played against a team that had nothing to lose and played without any pressure."